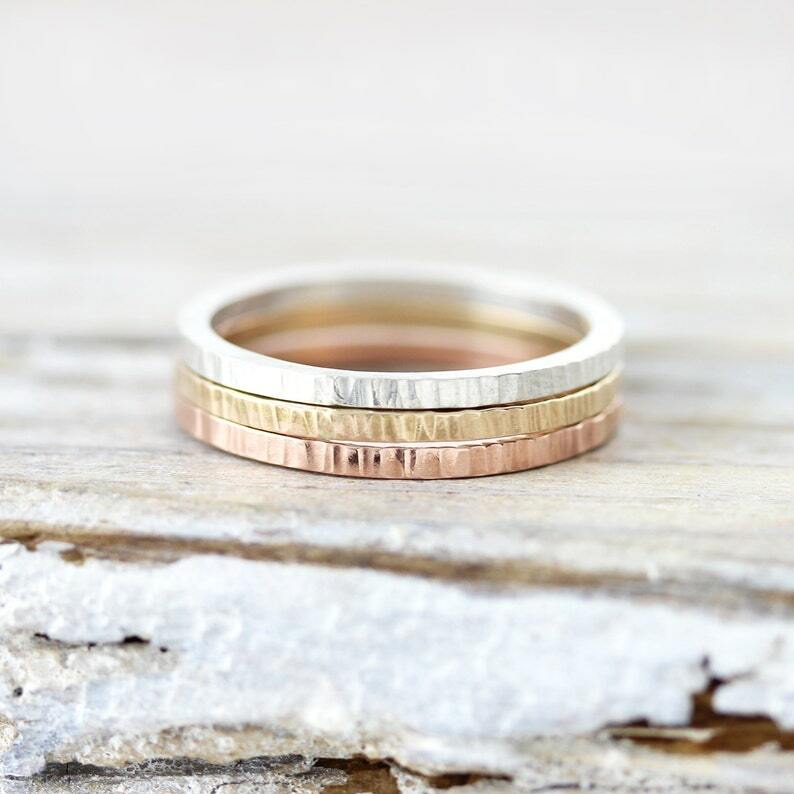 A delicate hammered ring that can be worn on its own or stacked with others. I can make these rings in sizes 1 to 16 (US), including half and quarter sizes. Don't forget to take a look at my shop policies before ordering for important information regarding turnaround times, shipping methods and returns. 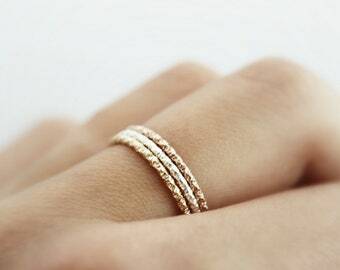 Wife loved the stacking rings. They were made and sent very quickly. A pleasant buying experience. Will definitely consider this shop for future purchases. Incroyable, je l'adore. Merci pour le service! It is just the way it looks in the pictures!